During the launch of the MyEXPAT system for expatriates’ income collection in Malaysia on Thursday (June 15), Inland Revenue Board (IRB) CEO Sabin Samitah said that expatriates who have left Malaysia four years ago still owe more than RM213 million in tax arrears, as reported by Free Malaysia Today.“Most of them were from the services sector, and had either falsified their real wages in the expatriate’s application form or declared a lower wage than what they actually received,” Sabin added. IRB was also able to track the discrepancies from the amount of remittances to the countries of origin of the expats. Sabin said IRB was in talks with 75 countries that had signed the Double Taxation Agreement to recover taxes from the expatriates.“Although we still do not have a specific mechanism to do so, this method has proven effective as it has been done in some other countries,” he said. According to Sabin, this year, IRB would take action, including blacklisting, fines or imprisonment, against employers or sponsors who failed to carry out their responsibilities to deduct the tax of foreign workers before they return to their respective countries. “We will conduct an investigation and audit those agents who bring in expatriates and foreign workers to Malaysia,” he said. To mitigate the problem of agents who do not disclose the income or commissions which are received from expatriates, IRB would work with the Immigration Department through the Expatriate Services Division (ESD) to check the status of their tax before leaving Malaysia. “If they fail to pay the tax, the expatriates will not be allowed to leave or enter Malaysia,” Sabin said. Speaking more about the MyEXPAT system, it will use information obtained from the Immigration Department to monitor tax matters relating to expatriates in Malaysia. This included a review of the issuance of the letter on the settlement of tax and ledger review over scheduled tax deductions. “The MyEXPAT system will be used in all IRB branches nationwide from July 1 to ensure the entry of expatriates to Malaysia meets the stipulated conditions, including paying the required Malaysian income tax,” he said. According to the Immigration Department’s statistics, 12,415 companies had registered with ESD from April 2014 until May, with 134,113 people obtaining working passes and professional visit passes applied through the ESD system. 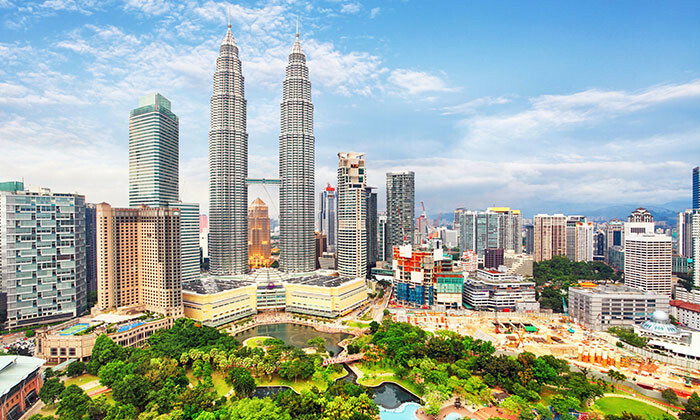 The top five sectors preferred by expatriates in Malaysia were construction and manufacturing (each 22%), services (14%), oil, gas and energy (11%) and education (8%). Does working these jobs enhance your chance to meet rich people?